Carne Bay Spa is The Nare's luxury Spa facility. Located in a quiet corner of the hotel you will find two calming treatment rooms and a full menu of treatments designed to relax, de-stress and help you shake off the cares of the world. Spoil yourself with a massage, pamper yourself with a manicure or simply have your hair done for the evening. Carne Beach is one of Cornwall's best kept secrets. 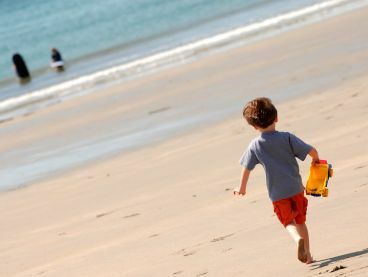 At high tide it's a great place for a swim, at low tide a mile of golden sand creates safe bathing, fantastic rock pools and acres of space for a game of beach volleyball, cricket or sand castle building. 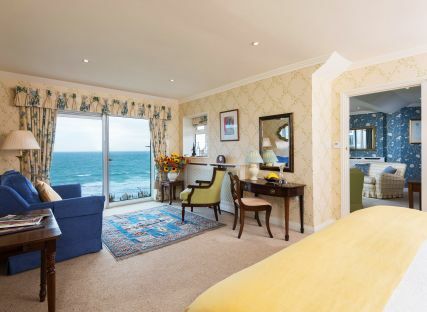 The beach is easily accessible from the hotel and a great place to while away a summer's day or enjoy a stroll along the water's edge, perhaps catching a glimpse of a dolphin or visiting seals. 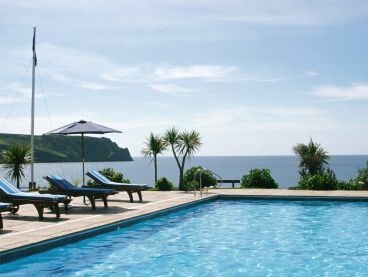 The Nare outdoor pool is surrounded by sun loungers and enjoys fantastic views across the gardens, the beach and out to sea. The outdoor pool is open between May and October and is heated to a warm 30 degrees Celsius. The indoor pool has its own jet stream for ambitious swimmers and a hot hydrotherapy spa, sauna and steam room for complete relaxation. The outdoor hot tub sits in the shelter of a beach hut overlooking the sea, this is a great place to relax and watch the sun go down on Nare Head. The Nare has two hotel boats exclusively for the enjoyment of guests. Alice Rose is The Nare's 38' classic gentleman's motor launch, offering scheduled and private chartered sailings from April to September. Maggie O'Nare is a classic Cornish Crabber. 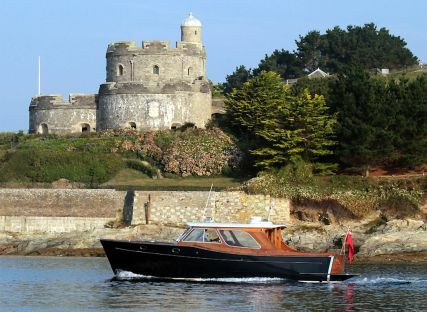 Skippered by The Nare proprietor, Toby Ashworth, Maggie is available for charter for full or half days. Both boats offer a wonderful way to experience the stunning scenery from the water. 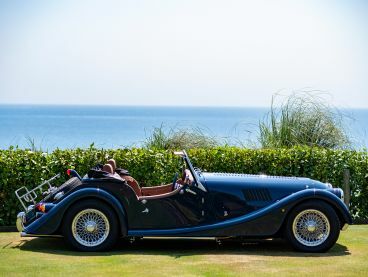 Guests can hire the hotel's Morgan 4/4 sports car for a day, to hop from fishing village to beach on the Roseland Peninsula, or take in the breath-taking scenic drives further afield in Cornwall. This is a wonderful opportunity to experience the thrill of driving a classic car whilst on holiday at The Nare. The rear-mounted picnic hamper is on hand to take a luxurious lunch for two, to be enjoyed at the most picturesque spot on route. The Nare has it's own Artist-in-Residence, Jeanni, who offers art and painting tuition for guests, either individually or in groups. Jeanni is an enthusiastic and innovative freelance artist and former art teacher, who believes everyone can paint or sketch if shown how. 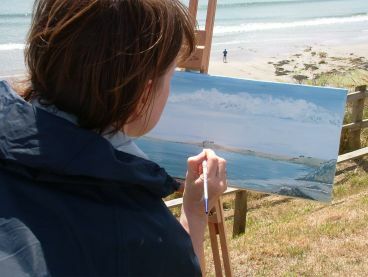 Her passion for art is infectious and her lessons are always popular. Choose from anything as little as a one hour taster to daily lessons during your stay. 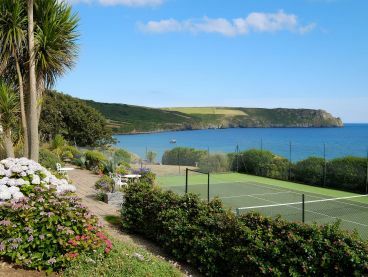 The Tennis Court sits in the hotel's gardens with breathtaking views along the coast and out to sea. Knock a ball around with the kids or enjoy a far more competitive exercise session on this all weather court. Or while away an afternoon with friends and family with a game for all ages and abilities on the large Croquet Lawn. The lawn is set above the hotel, it enjoys the great sea view and a pavillion for relaxing after a game of croquet. The Nare has a range of other activities that can be enjoyed close to the hotel. 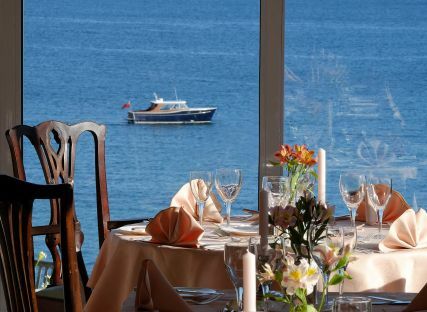 These include sea kayaking, sea fishing, guided walking, shooting, golf and horse riding. A leisure activity exclusive to The Nare are our To Snare A Spy espionage missions, which allow you to test your skills as an undercover agent for the day. 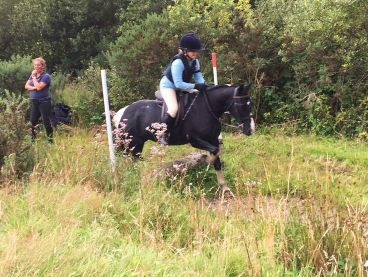 They are family friendly and a fun way to discover the great outdoors whilst staying at The Nare.